If you’re a sci-fi fan and haven’t read this highly imaginative series yet – it’s your loss. Although this book didn’t captivate me quite as much as the first, it’s still an engaging read and a worthy followup. 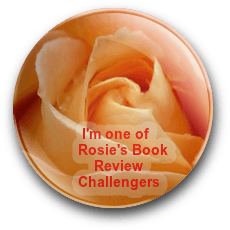 This book takes place nine years after Sleeping Giants and reacquaints the reader with returning characters and their activities during this time, and introduces a couple of new integral characters. 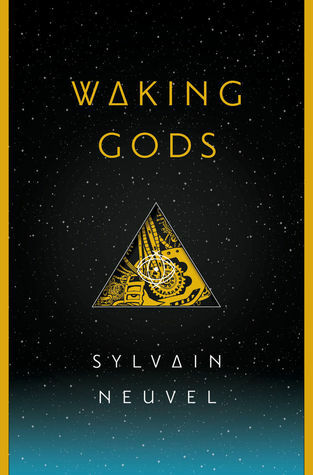 Where the first book is all about discoveries and learning what Themis is capable of, Waking Gods is more action-oriented, with the opportunity to use Themis for her intended purpose. That being said, don’t assume that’s all this book is about – there are some shocking twists and surprises that left my mouth gaping. 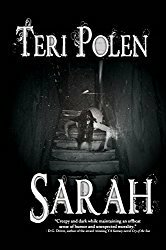 I didn’t settle in with this book until about the 25% mark – it moved at a slower pace, but quickly picked up after that. Like the first book, Waking Gods is told in interviews, journal entries, transcripts, and news articles – a format that is done very well. With the ending, I’m assuming there will be at least one more book in this series – and I’ll be eagerly anticipating its release. I remember begin intrigued by the first one. The whole concept sounds very imaginative! It definitely is, Mae – never read anything quite like this series. I confess – had to look up Ozymandias – but you’re absolutely right. Very similar – just without the invasion. Could have been interesting, though. Thanks! Ozymandias was etched into my brain at school and I’m pretty sure there were some very awkward recitals of it involved :). But I do remember it (unlike many things!). Still, all books are improved with a good invasion! Looking forward to reading Sylvain’s work :). This sounds like huge fun! No pun intended. Okay, so now that I realize the pun, I actually would have intended it. 😉 Hugs. Huge fun *snort*. I like it.